Mon.-Fri. 7 a.m.-2 p.m.; Sun. 8 a.m.-2 p.m. 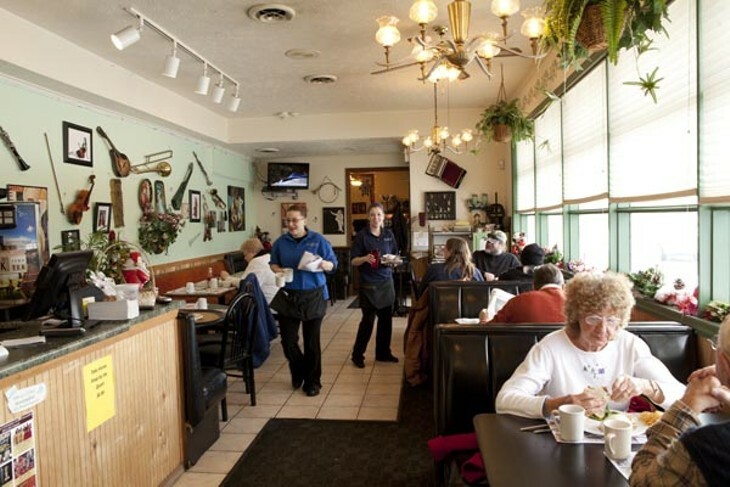 Despite there being no shortage of all-American diners in Western Pennsylvania, we're always driven to seek out more. 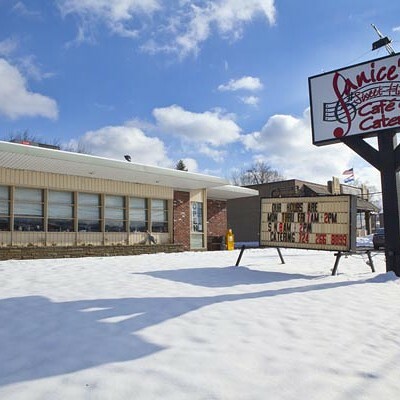 Our restless search for the perfect diner — the one with flawlessly executed classics, a few specials just interesting enough to tempt us away from our usual habits, friendly servers and an idiosyncratic character — recently took us to Ambridge, where Janice and Robert Frantz operate Janice's Sweet Harmony Café and Catering. 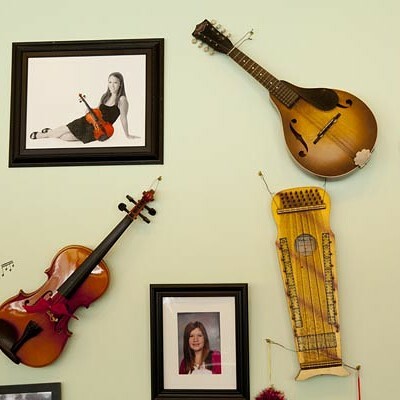 The Harmony Society's nearby Old Economy Village provides some geographic anchorage for the name, but it is really in honor of the couple's three children, all accomplished musicians. 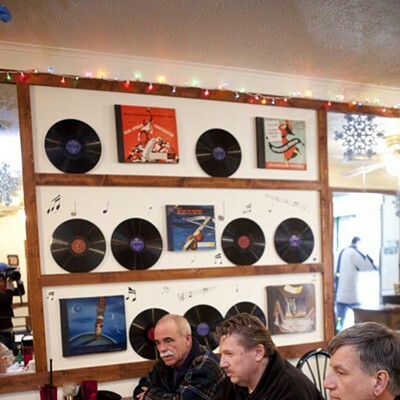 The harmonic theme naturally extends to the decor, a lively visual hodgepodge of actual musical instruments and sculptural and painted representations thereof, along with a wall of old 78s and their sleeves. It all adds up to plenty to look at while you wait — although, at least on our visit, that wait wasn't long. One of the virtues of diner dining is speed, and our brunch order came out promptly. 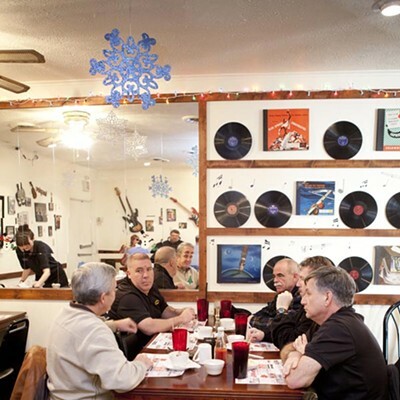 Although most of Harmony Café's offerings consist of tried-and-true diner standards, the musically themed menu provided old dishes with new names and turned the process of ordering into fodder for conversation. 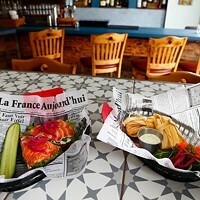 It was easy, for instance, to figure out that the "French Horn" was a plate of French toast, but it required more imagination — and debate — to suss out why a plate of biscuits with sausage gravy should be called a "Trombone," and the same dish with eggs and home fries a "Slide Trombone." Undaunted by this perplexity, and uninterested in embellishing the pure harmonics of his personal diner favorite, Jason ordered the trombone, plain and simple. The gravy was straightforward, thick without approaching the consistency of peanut butter and generously studded with crumbles of sausage. However, the biscuits beneath the gravy demanded further discussion. The glory of biscuits with gravy is not, in fact, the saucy sausage, but the split biscuit that the gravy garnishes. Ideally, this is a crusty baked cloud, oven-browned to light resilience on the outside and opened to expose the airy, fluffy interior, into which a bit of savory gravy might soak. 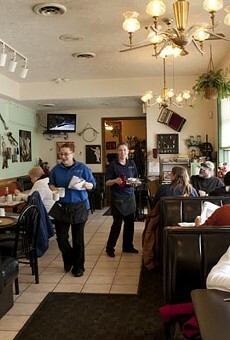 In thinking that quantity over quality is the way to go with biscuits, Sweet Harmony is not alone among local diners. Thus a bowl of four undifferentiated disks of soft dough, drowned beneath a sea of gravy, failed to deliver what the dish ought to have been. So slight was the distinction between crust and interior that it wasn't even clear whether the dish held two biscuits split or four whole. This composition fell flat. But all was not lost on the savory side of our meal. 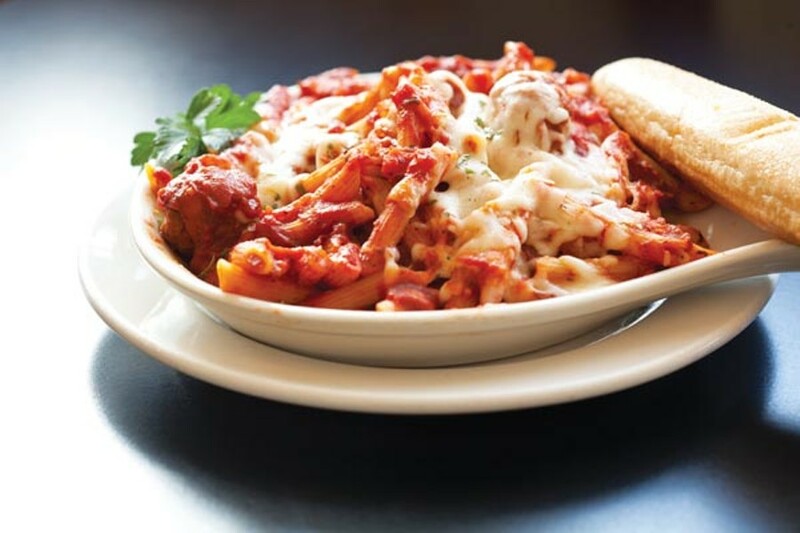 A daily-special hot Italian skillet delivered big flavor. Home fries topped with scrambled eggs, crumbled sausage and melted cheese played well together; the browned disks of potato and just-spicy-enough sausage were copacetic, while the eggs were firm enough to hold up without losing tenderness or moistness. Jason wished only that the onions and peppers of the regular menu's Philly skillet had made an appearance here. The vegetables could have broadened without overextending the Italian skillet's flavors. Those who ordered sweet brunches were happy as well. French toast did not distinguish itself through the use of any special bread (though cinnamon-raisin French toast is available), but even ordinary sandwich bread is pretty good when soaked in eggy batter, fried and dressed with maple syrup. Blueberry pancakes were excellent specimens, deep brown with plenty of juicy blueberries so that syrup seemed almost extraneous. Our kids' silver-dollar chocolate-chip pancakes were more golden, which equaled a lighter flavor, and the chips more scarce, which kept the pancakes from sickly sweetness. Of course, the German apple pancake isn't merely an ordinary pancake studded with apple, but a variation on the classic recipe of apples softened in a hot skillet and then covered with a light batter that puffs up as it quickly finishes. Janice's used ordinary pancake batter, poured thickly over apples baked with butter and brown sugar, and topped with cinnamon and a dusting of powdered sugar. The result was not as yeasty as an authentic German pancake, but its notes of caramelized sugar were indulgently pleasing, and its fluffy texture avoided the sogginess that can be this dish's downfall. 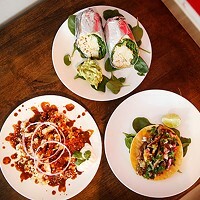 Janice's Sweet Harmony also offers a lunch menu of sandwiches, salads, and a few hot Italian entrees. 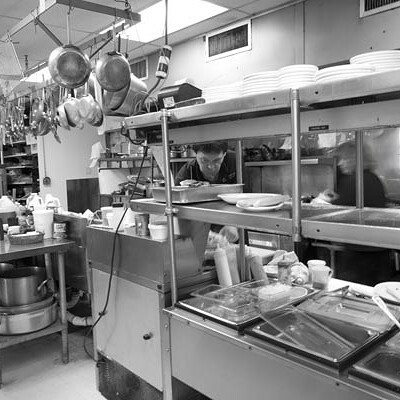 Like breakfast, lunch strikes a note of simple satisfaction, served with the warmth of a family-owned business.